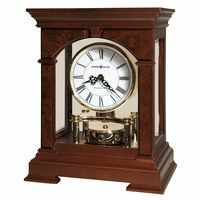 Hermle Queenway Tambour Mantel Clock in a Walnut Finish with a German-made Hermle Mechanical 8 Day Westminster Chiming Clock Movement. 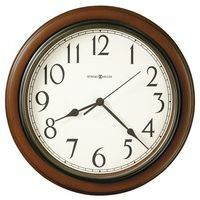 Reproduction of an antique tambour clock. 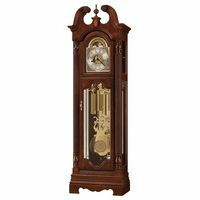 Walnut finish on solid wood with carved decorations, elegant glass bezel. 8-day 4/4 Westminster Chimes movement. Made In Germany.